This was Australia’s first kidnapping. In 1960 travelling salesman Bazil Thorne, 37, paid £3 to enter the tenth lottery created by the New South Wales Government to raise money for the building of the Sydney Opera House. His ticket 3932 won the £100,000 prize on 1 June and his family details were splashed on Sydney newspapers’ front pages. Bazil and Freda Thorne, their 8-year-old son Graeme and 3-year-old daughter Belinda lived in a two-bedroom, ground floor apartment at 79 Edward Street, Bondi. 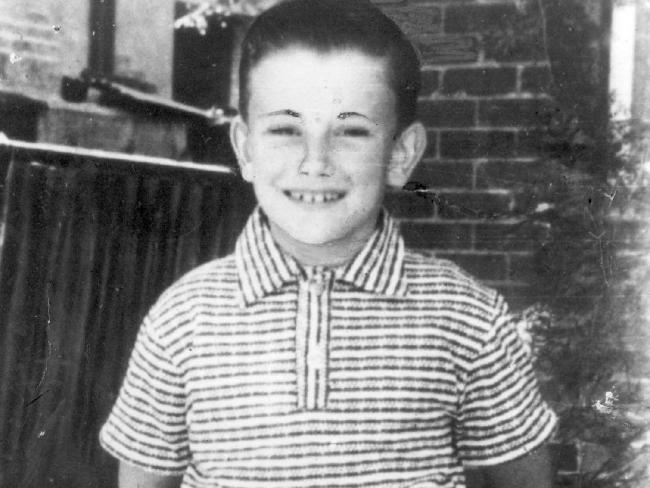 A family friend, Phyllis Smith, usually picked Graeme up at 8.30am to take him to school, The Scots College in Bellevue Hill. However, at 8.35am on 7 July 1960 the boy was not in his usual spot. Mrs Smith went to Edward Street and was told by Graeme’s mother that he had left for school as usual. They checked with the school — again no sign — before alerting the police. At 9.40am the kidnapper rang the Thorne home’s ex-directory number 307113 and Sergeant Larry O’Shea of Bondi police took his call. The kidnapper demanded £25,000 before 5pm or “If you don’t get the money, I’ll feed the boy to the sharks.” He rang again at 9.47am and said that the money should be divided into two paper bags before hanging up. That was the last contact. More than a month later, on 16 August, some children alerted their parents to a body that they had found in Grandview Grove, Seaforth in Sydney. Still in his school uniform, Graeme was covered in a blue tartan rug. His hands and feet were tied with rope and a silk scarf had been knotted tightly around the neck. An autopsy revealed that Graeme had either been asphyxiated or struck on the head or had died from a combination of both. It also revealed that he died within 24 hours of being snatched. The pathologist also found traces of pink mortar and of two plants, Chamaecyparis pisifara and Cupressus glabra. Witnesses had seen an iridescent blue 1955 Ford Customline double-parked near where Graeme was usually collected. A massive police search led, on 24 August, to electroplater Stephen Leslie Bradley, a 34-year-old Hungarian immigrant whose real name was Istavan Baranyay. He was helpful and friendly and explained that on 7 July he was moving house when Graeme was kidnapped. On 26 August his wife Magda booked a one-way passage to London for them and their three children. They sailed aboard the SS Himalaya on 26 September. Meantime, police examined Bradley’s car and linked it with Graeme’s kidnapping. On 10 October the Himalaya docked at Colombo, Ceylon and an immigration wrangle ensued because Australia had no extradition treaty with Ceylon. Finally, Bradley was flown back to Australia on 18 November. Bradley confessed to the kidnapping but said Graeme had suffocated accidentally. Forensic experts disproved this and Bradley’s trial began at the Sydney Central Criminal Court on 20 March 1961 and lasted nine days. Found guilty, he was sentenced to life imprisonment. Magda Bradley divorced her husband in 1965 and went to live in Europe. He died in prison on 6 October 1968, aged 42, while playing tennis with other prisoners. Bazil, Freda and Belinda Thorne moved out of Bondi into Rose Bay. Bazil died in 1978. Since the Thorne case, lottery winners have had the chance to opt for no publicity.